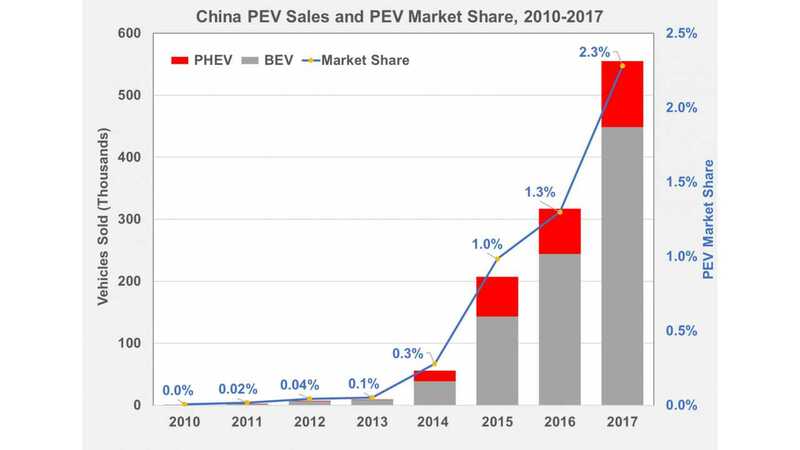 Thanks to generous incentives and the size of the market, China has quickly become the largest market for plug-in electric cars. 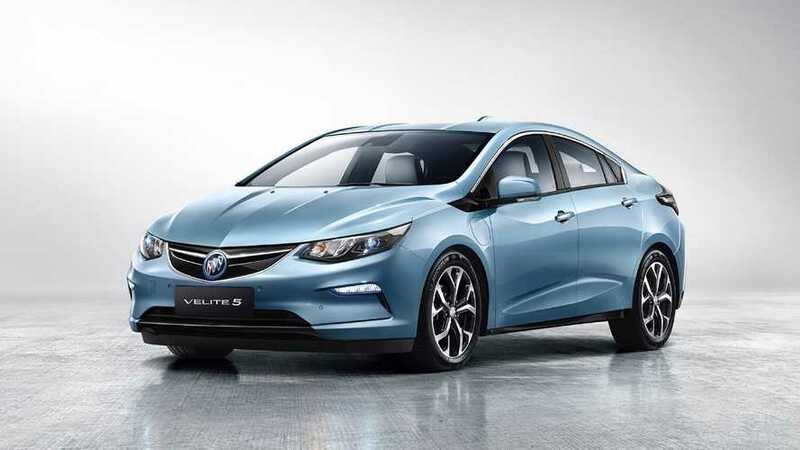 According to the U.S. DOE’s Office of Energy Efficiency & Renewable Energy, sales of plug-in vehicles in China amounted around 550,000 last year, compared to nearly 200,000 in the U.S.
Also, in terms of market share, China has an edge over the U.S. - some 2.3% of new vehicles were plug-ins in 2017, while the U.S. onlyreached 1.1%. 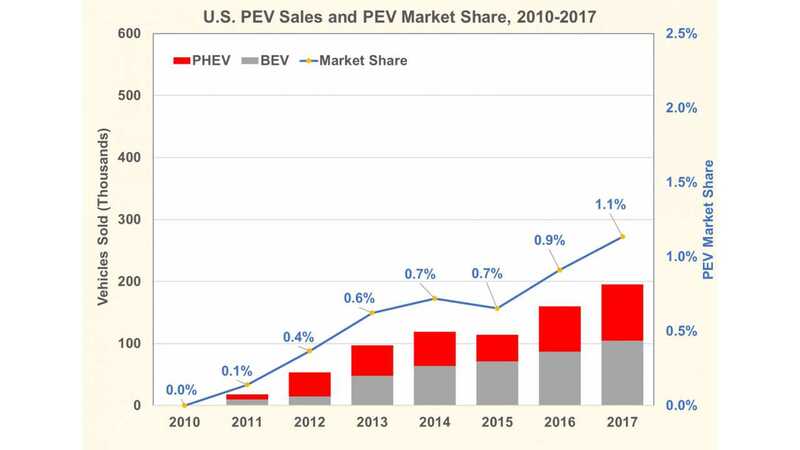 The other difference is that China is more BEV-focused, while in the U.S. there is a similar number of all-electric and plug-in hybrid sales. "Sources: China - Data summarized by Argonne National Laboratory from Hewu WANG, Xu HAO. Data Base of Electric Vehicle Production in China, State Key Laboratory of Automotive Safety and Energy, Tsinghua University. United States - Argonne National Laboratory, Light-Duty Electric Drive Vehicles Monthly Sales Update Program, March 20, 2018."